You know what they say about Venetian blinds? They look pretty sweet in almost any home. And that’s a scientific fact. Venetian blinds bring elegance and class to an otherwise lackluster home accessory. Plastic blinds just can’t bring the same personality or style as Venetian. They can’t accent or improve decor. They are kind of just there, purely functional, and still let a lot of light shine through. Venetian blinds bring class and style to your windows. But cleaning them can be a real pain if you don’t stay on top of it! The one drawback to Venetian blinds? 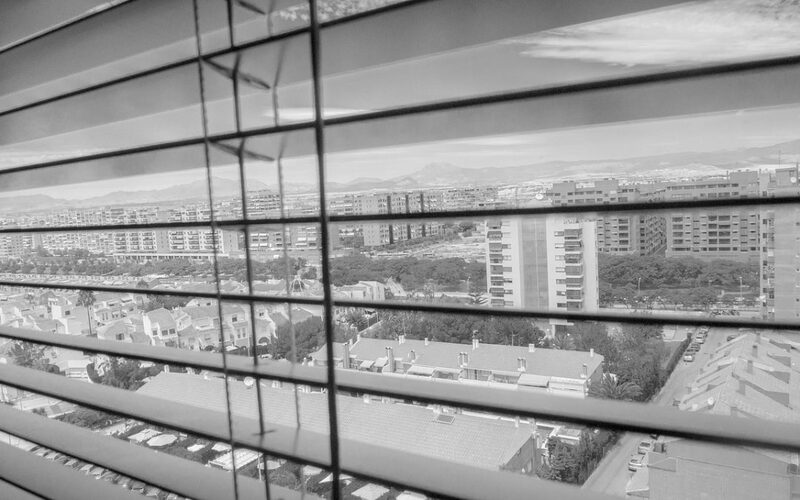 With their textured, broad, solid surfaces, Venetian blinds are prime targets for dust and buildup. And because they are technically just blinds, many homeowners can forget to pay attention to them when going about their regular cleaning duties. Once buildup cakes on your Venetian blinds over a couple months, it can be a real chore to clean each individual panel, or slat. And actually takes way more elbow grease than you might imagine! We’re going to talk about some key steps you can take to keep you Venetian blinds sparkle clean and looking good as new! The best strategy for cleaning your blinds is to constantly stay ahead of the problem with regular cleanings. This is one of those items where doing a little and doing it often will make the biggest difference in the grand scheme. The way buildup settles into blinds and the difficulty of reaching every part of all the blinds makes a deep clean a lengthy and arduous endeavor. By staying ahead of the problem with regular cleanings, you can prevent significant amounts of dirt from building up, thereby ending the need for a lengthy deep clean. 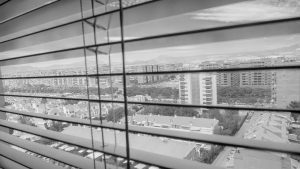 Here’s a couple easy to follow steps to help you keep your Venetian blinds from building up dirt and dust. To start, dust your blinds with a feather duster. It needn’t be an actual duster. Whatever rag, towel or dusting apparatus you choose will suffice. You can even use a vacuum cleaner with a soft bristle attachment. The point is to remove the dust. Just don’t scratch up your blinds. Next, if there is any larger dry debris or dirt after the dust, use a dry cloth to wipe it away. Now time to apply some product. Use a bespoke blind cleaning solution. If you can find a product with an anti-static agent, it will help prevent dust from gathering again. Another great tactic for cleaning Venetian blinds quickly, thoroughly, and completely, is with a bath. Make note of this: THIS METHOD IS NOT GOOD FOR WOODEN BLINDS. If you try and submerge your wooden blinds entirely you’ll have an entire new set of problems to deal with. You can only bathe synthetic Venetian blinds without damaging them. So let’s discuss how to do this. First, remove the blinds from their fixing. No need to consult YouTube or instruction manuals. This shouldn’t be very difficult, as most modern blinds have plastic fittings that easily slide off for easy removal. You shouldn’t have to bother with any brackets or screws. Run a bath and fill it with enough water to completely submerge your blinds. Add about a half cup of detergent powder. If you’d like, you can use a detergent with scent and it will actually freshen up your room when you re-hang the blinds. Go ahead and completely soak your blinds and wipe down each slat with a cloth. These will drip dry easily. Just leave them hanging in the shower, over the rail, or hang them outside if weather permits. Cleaning your wooden Venetian blinds isn’t as easy as synthetic, as it requires more care. Keep detergent away from these types, as it can damage and warp your wood. Warped blinds renders them useless for filtering light and transforms them into eyesores. For a quick clean you can do this instead. Run a feather duster through each groove first. Remove any and all dust that you can, same as you would with synthetic. You can also finish by going back over the slats with a non-wax furniture polish to keep them looking pristine longer. Now you are ready to tackle any style of Venetian blind and keep your home looking clean and new!